What a powerful symbol of freedom three colors have become. Even as a bunting and not a flag they still are seen as the American color palette. America will never be a perfect symbol of freedom. But I believe our heart is always in the right place when it comes to helping less fortunate people around the world. Happy Memorial Day to everyone. 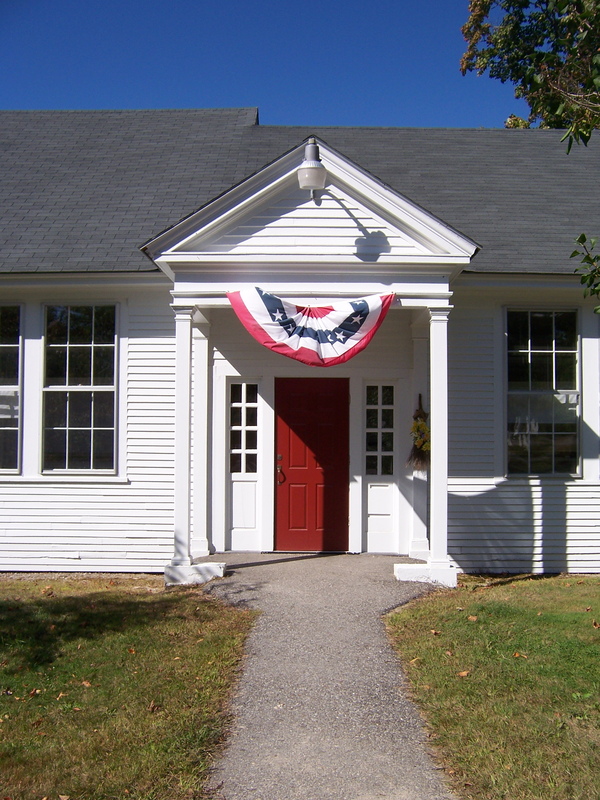 This building is located on Rte.13 in Dunbarton, New Hampshire. The cast shadow of the flag was the real reason I stopped to snap this photo. Any moving object is very difficult to capture in any other way especially in the late afternoon when shadows seem to change more quickly. Of course that is not the case but time flies when you are trying to sketch in enough information to use at a later time. It seems you can’t draw fast enough to record key details–yet this is the challenge all artists face. We rely on photography, sketches and/or the memory of a certain place to create a piece of art. To each her own. This entry was posted in architecture, composition, New Hampshire, Outdoors and tagged American flag, Ann Trainor Domingue, bunting, Dunbarton, flag, freedom, Memorial Day, New Hampshire. Bookmark the permalink.